As an Executive Coach and Professional Resume Writer, I always say to my clients “A piece of paper will not get you a job – people will!” Does that mean your resume is not important? Of course not! Your resume is your story. It is an opportunity to crystallize your experience, qualifications and the transferable skills that will add value to a potential new employer. What is the value you bring to an organization? The People: You need to strategically access your network to gain enthusiastic champions who can and will open doors for you. These advocates can help distinguish you from other candidates. They can literally and figuratively walk your resume into a decision maker’s office. People advocating for you is a better strategy than submitting a resume online in hopes that it not only lands on the right desk, but it gets noticed and given objective consideration. 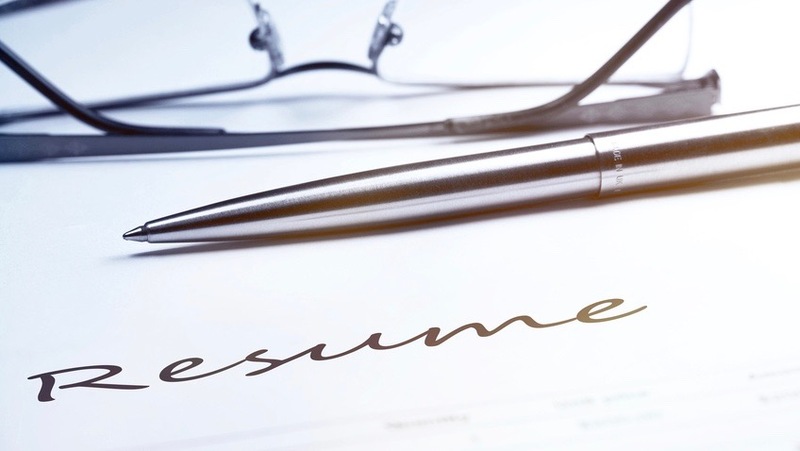 The Paper: Research has shown that recruiters and hiring managers will spend only six seconds reviewing your resume. That is not much time to make an impression. Your resume needs to be comprehensive, concise and current. It needs to be visibly appealing to quickly guide the reader through your key qualifications, chronological employment and the reasons why you should be vetted further. A well written resume should persuade the reader that you are exactly what their company needs! So with a strong resume (paper) and a dynamic network (people) to open doors, you will hopefully get the opportunity to interview for a new position. This is when your body language, personal passion and your story must champion the persuasive attributes on your resume. The Prep: Preparing for an interview is very important. I work with clients to help them get over their limiting beliefs. We’ll coach to assuage fears about re-entering the workforce after a long absence, explaining a recent job loss or defending their transferrable skill set if they are exploring positions in a different industry. Perfection: Miranda, a client, is an example of a someone who conducted a very effective networking and job search plan. Immediately after losing her job, she methodically designed a strategy to understand her strengths and transferable skills. She wrote out answers to tough interview questions to explain her achievements, career progression and employment transition. In doing so, she rebounded from the career disappointment and became a stronger well-prepared candidate. Using her networking skills, she had as many as eight networking meetings a week and voraciously researched every opportunity and recommendation she received. Within a few months, she landed a new director-level job with a global company ~ a position that was perfect for her! Miranda’s success clearly demonstrated the value of people and the importance of embracing the story you tell on paper. Prescription for you: Prepare, plan and pitch! Do your homework to identify your transferable skills. Solidify your story. Plan your networking strategy to figure out who you need to meet and what you hope to gain from each contact. Then, with a polished resume in hand, passion in your heart and confidence in your story, forge ahead and make your pitch!